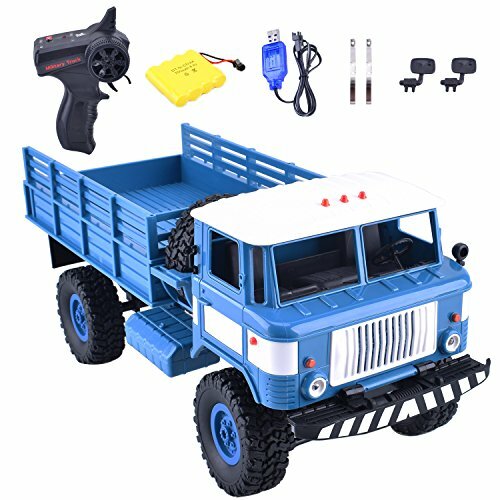 Product Features - 1/16 4WD remote control car. 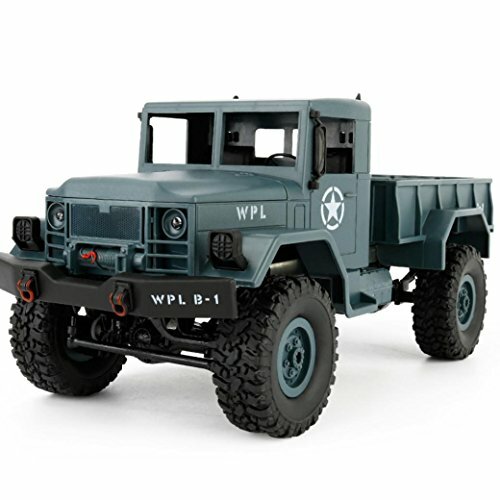 - Carry up to 3kg and alloy chassis frame. 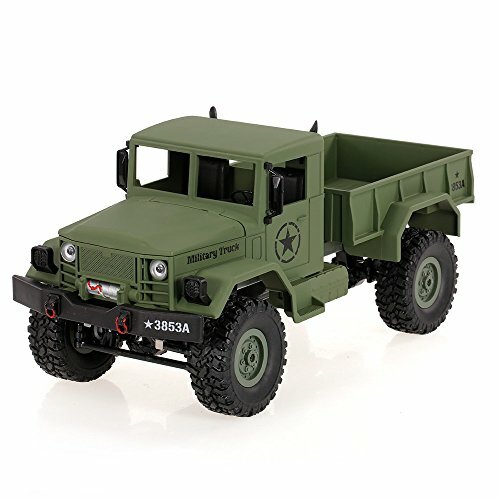 - Rechargeable battery,easy to operate, RTR and easy to maintain. 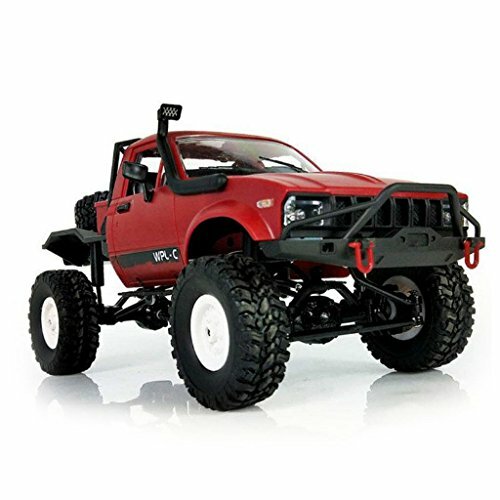 - Strong 130 motor, truck crawler running at up to 10km/h. - Turn left/right,turn forward/backward,control by yourself. 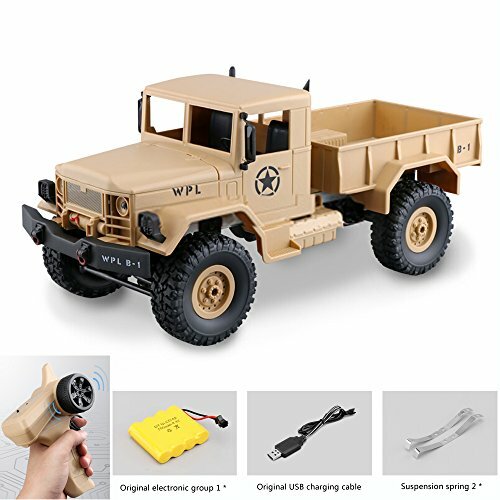 - Remote controller, the battery is not included,need to purchase. 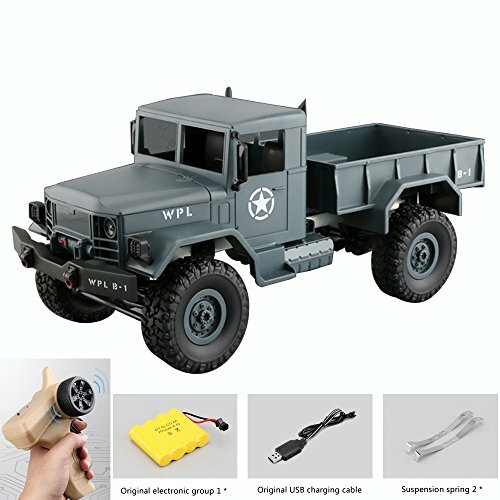 Product Specification Name:1/16 Crawler Radio Remote Control Car Age Recommended: 7+ Material: Plastic / Metal Remote Distance: 35m Car Battery: 1x 6V 700mAH Rechargeable Lithum Battery Pack Transmitter Power: 2 x 1.5V AA battery (not included) Charging Time: about 1 hours Driving Time: about 25 minutes Max Speed: 10km/h Steering Servo: 25g Product Size: 34.7*14*15cm Package Size: 45x21x16cm Weight: 0.8kg(1.76lb) Wheelbase: 190mm Ground Clearance: 50mm Color: Green/Blue Package List: 1x RC Car Off-Road 1x700mAH Battery group1x Remote controller (Battery Not Included) 1x User manual Warm Tips - Children must be supervised by parents or guardians while playing; - Please stay away from fire sources and high temperature environment; - Do not put your fingers into the aperture of the movable parts. - Please remove it from the car when charging to maintain the stabolity condition of the battery,or it will damage the battery lifespan. 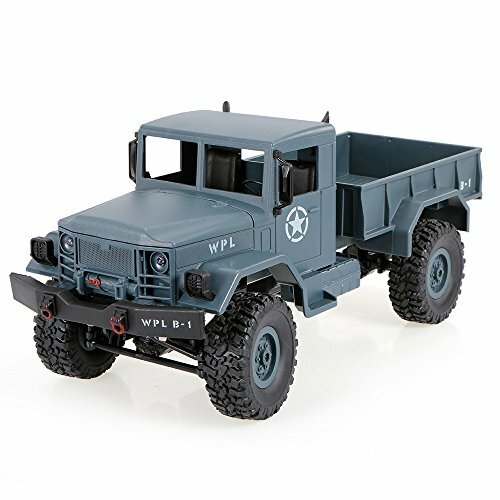 Specifications: - Radio System: 2.4GHz - Drive system: 4WD - Speed: 10km/h+ - Playing Time of Original Battery: 20-30 mins * 1(Depends on playing operations) - Charging Time: 2-3 hours - Remote Control Battery: 2x AA Battery (Not Included) - Remote Distance: 150m - Size: 35cm x 14cm x15 cm (1/16) Package Included: 1 x RC Car 1 x Remote Control 1 x USB Charger 2 x700MAH Battery 1 x User's Manual Please Note: To maintain the stability condition of the battery, please remove it from the toy car when charging, otherwise, it can damage the battery lifespan. 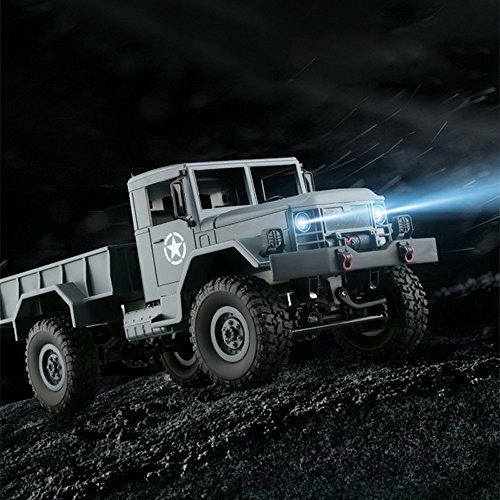 Please control the car according to our user manual to avoid the hurt caused by the inappropriate control.RELIABLE & FRIENDLY CUSTOMER SERVICE:Ready to respond within 24 hours, 30-day money back guarantee, 12 month replacement warranty and lifetime support guarantee. 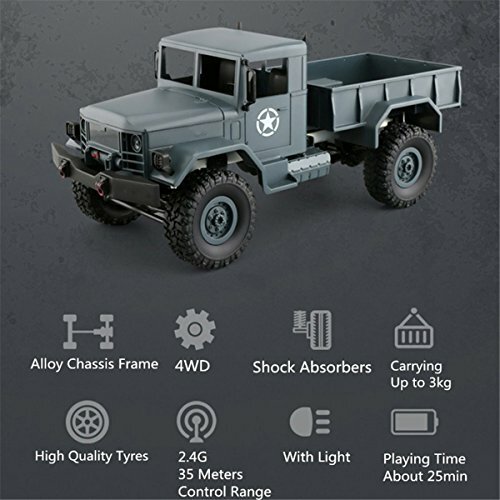 Specifications: - Radio System: 2.4GHz - Drive system: 4WD - Speed: 10km/h+ - Playing Time of Original Battery: 20-30 mins * 1(Depends on playing operations) - Charging Time: 2-3 hours - Remote Control Battery: 2x AA Battery (Not Included) - Remote Distance: 150m - Size: 35cm x 14cm x15 cm (1/16) Package Included: 1 x RC Car 1 x Remote Control 1 x USB Charger 2 x700MAH Battery 1 x User's Manual Please Note: To maintain the stability condition of the battery, please remove it from the toy car when charging, otherwise, it can damage the battery lifespan. Please control the car according to our user manual to avoid the hurt caused by the inappropriate control. RELIABLE & FRIENDLY CUSTOMER SERVICE:Ready to respond within 24 hours, 30-day money back guarantee, 12 month replacement warranty and lifetime support guarantee. 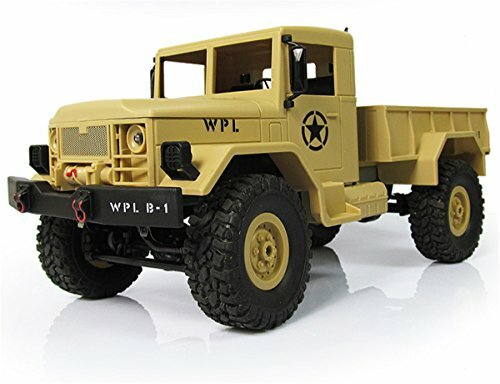 Compare prices on Rc Military Trucks at ShoppinGent.com – use promo codes and coupons for best offers and deals. Start smart buying with ShoppinGent.com right now and choose your golden price on every purchase.